People eat differently on the South Side. If you don’t believe that, try to find a Mother in Law, Big Baby, or Freddy north of Madison Street. Another sandwich, also likely unfamiliar to most Northsiders, is currently spreading around the South Side and beyond. Ten or fifteen years ago I found a menu from a South Side sub shop slipped into my front gate. It listed all the familiar local treats: subs stuffed with beef (either “roast” or “corn”); gyros (usually pronounced GUY-ro); and super tacos (ground beef, lettuce, and tomatoes, all folded into a pita). 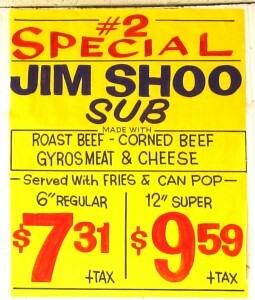 But there was also a sandwich I’d never heard of then: the Jim Shoe. In the next few years I would notice that name on menus or window signs of other sub shops. Clearly the Jim Shoe wasn’t found at only one or two places. 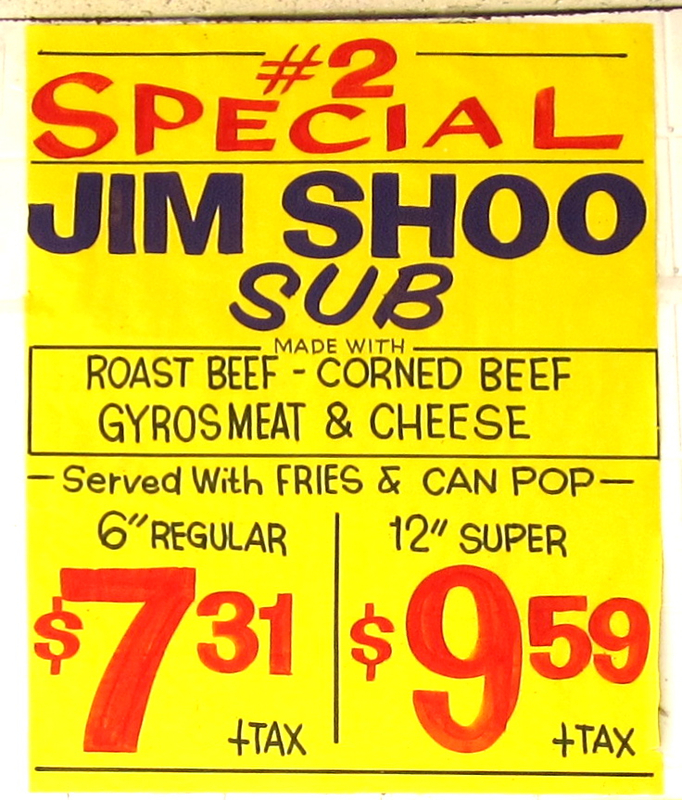 After I had completed an initial investigation into the Mother-in-Law (a tamale with chili, usually served on a hot dog bun), I decided to take on the Jim Shoe. Where did it originate? How did it get that peculiar name? Little did I know that after nearly a decade and dozens of Shoes, I’d still be asking those same questions.